Your solution for preventing dead vehicle batteries during showroom displays, maintenance or when batteries are prohibited during indoor expositions. 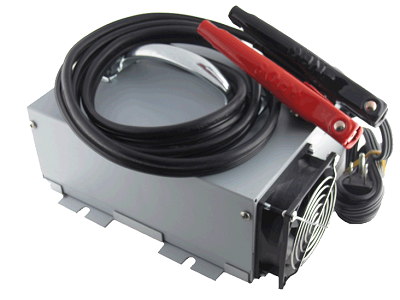 Also makes a GREAT shop, farm/ranch or garage portable or wall mounted battery charger. Provides clean and reliable power for charging and maintaining battery state-of-charge during service reflash, complex maintenance, and in the showroom where vehicle demonstrations can require significant power from the battery.